There is nothing more exciting and special than driving your wife and new born baby back home from the hospital for the first time. As all the home preparations should be up to par so should their ride back home be in order to celebrate this joyous event with comfort and ease. The best way to show your care and affection for these two special people in your life is by bringing them back home in the luxury and comfort of a limousine. At Raleigh Limousine and Party Bus Rentals, we believe that a safe, smooth and pleasant ride is very important for your new born baby and wife’s safety. Therefore, our experienced drivers take utmost care to make your journey home comfortable and safe. The first step to give a warm welcome to your wife and baby is to ensure that your house is neat and everything is in the right order. Furthermore, the new born baby’s room should be properly decorated and the cradle should be ready to go. All of these small yet meaningful gestures will communicate your love and affection to both of them. Together with these preparations you can also make this special day more memorable for your wife and new born baby by surprising them with a ride back home in an exceptional limousine by Raleigh Limousine and Party Bus Rentals. 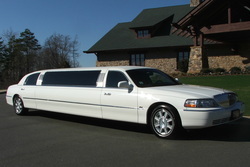 At Raleigh Limousine and Party Bus Rentals, customer satisfaction is on the top of our priority list. Therefore, we understand how important it is to drive your new family member back home in the safety and comfort of a luxurious car, which also driven smoothly. We have a wide range of classic cars like SUV and stretch limousines from which you can choose. All of our limousines are insured; therefore you can be rest assured that our car service is completely reliable and that your wife and baby will have a secure ride home. In order to make your driving experience even more luxurious and grand our state of the art limousines are well equipped with superior quality leather seats and advanced video and sound systems that can entertain you with the music of your choice. All of our limousines have central air conditions and heating systems to ensure that your journey back to home is as comfortable and relaxing as possible. 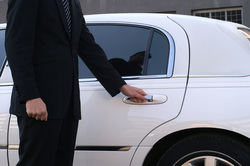 Our licensed and trained chauffeurs will also assist your wife and baby while entering and exiting the limousine. They are likely to take utmost care to drive as smoothly to ensure that there is no inconvenience caused on your way home. At Raleigh Limousine and Party Bus Rentals, we take great pride in making your first ride home with your new born baby memorable and exciting. No matter what your hospital is, we can take you to Duke Raleigh, Rex Healthcare, WakeMed and Holly Hill Hospital. We can assure that our drivers will arrive on time and drive you home faster yet securely providing excellent customer service throughout the journey. When your baby girl gets older you may even find that you use our services again for a graduation or Quinceanera limo to make her day even more special. Having a new family member in your family is one of the most joyous events; therefore, you can take pictures and make video of your family in order to cherish these memories for future years. Make the best of your luxurious ride in our limousine and make your experience unforgettable with pictures and videos of your new born baby’s first ride home in a limousine. We guarantee you that by choosing Raleigh Limousine and Party Bus Rentals you can have an unforgettable driving experience with your wife and baby, making this special event even more remarkable. ride home for you & your family today!